I'm just wondering if this is the new feature or a bug. 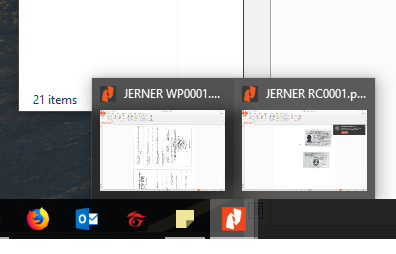 I just one to open 2 PDF in the same windows but it keeps open in another windows. Appericate if someone could show me a work around for this. 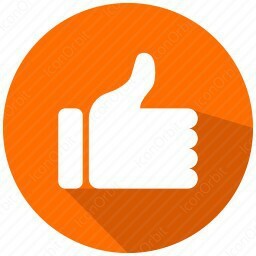 You are most likely on an older build of Nitro Pro 11. The newest build opens files in another tab (within the same window). Hi Kelvin, thanks for your reply. But acctually i'm on the newest version (Nitro Pro 11.0.7.411). Problem still the same. This is one of my biggest irritations with Nitro. I often want to be able to open separate windows (so I can few files on different monitors), but I've been told it's impossible, and that I can only open new tabs in the same window. The only way to compare files side by side to is to create vertical tab groups, which is not really what I'd like to do. If you work out how you were able to open two windows, even accidentally, I'd really like to know what you did! Hi Edwin, i did not do any thing to open two windows at a time. just got the newest version installed & open 2 file at same time, all will come up in two windows. If you can't get that to work, let me know- you may need to change or add a registry key. I'm afraid it doesn't work for me. I get the error "Error popping out document.....new instance of NitroPDF failed to start", although an empty Nitro window does (eventually, after a loooooong wait) open, but does not take the document with it. Can u please show me this too hope there is a way to remove the registry key. We have temporarily disabled the automatic updates and the Check for Updates tool, while we are trying to fix an issue connected to this. Whilst Nitro is closed (using build 11.05.271 and up), if you open Windows Explorer and select multiple PDFs, then press Enter, they will open in multiple windows. I'm trying out Nitro Pro 11 and the version is 11.0.3.173. I need to compare 2 pdf documents in separate windows. Under Check for Updates, program reports "There are no updates available. You have the latest version of Nitro Pro installed." I'm trying out Nitro Pro 11 and the version is 11.0.3.173. I need to compare 2 pdf documents in separate windows. When I try to drag a document from a tab to a blank area on the desktop, there is a no-go universal symbol (circle with diagonal line) and nothing happens. Under Check for Updates, program reports "There are no updates available. You have the latest version of Nitro Pro installed." Does anyone know if It is possible to view a single document in two instances? For example by creating 2 tab groups and viewing the same document with one instance in each group, either vertically or horizontally? ... or viewing the same document in two windows? This is different than opening 2 different documents in 2 separate windows. Seems like a common need to be able to look at one page while referring to another page/section in the same document but it could just me because I read long technical stuff that has tables/reference stuff in one area that is referred to in a different area. Just like my obsoleted paper books! I can do this by creating a copy of the document/renaming it, then opening each document as if they were separate documents but then the copied document needs to be deleted later.